CHICAGO (WLS) -- Scattered snow showers Sunday could leave a dusting of snow in most of the Chicago area, with some areas in northwest Indiana seeing several inches of snow. The scattered storms are expected to begin in the afternoon hours, although bands of lake effect snow were hitting parts of northwest Indiana Saturday morning. Parts of LaPorte and Porter counties in Indiana could see one to three inches of snow and parts of St. Joseph County in Indiana and Berrien County in Michigan could see four to seven inches of snow. The rest of the Chicago area can expect a dusting of snow, potentially adding up to a half an inch and could leave some slick spots on the roads. Temperatures are forecast to remain in the upper and mid 20s Sunday. 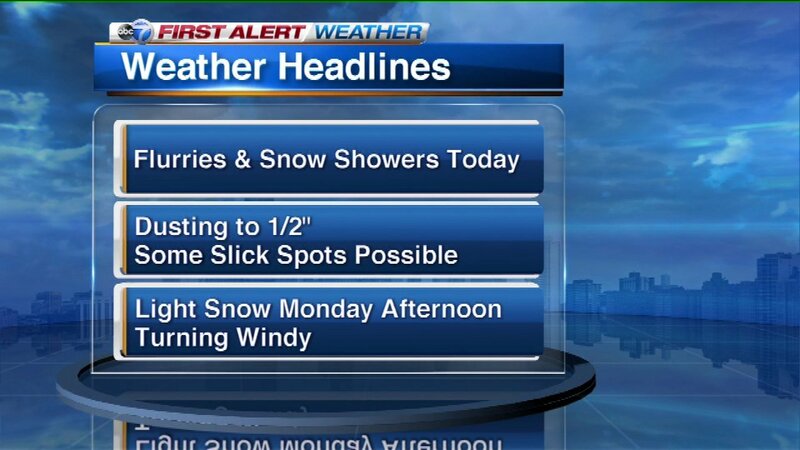 Another batch of snow is expected to move through the area Monday afternoon. 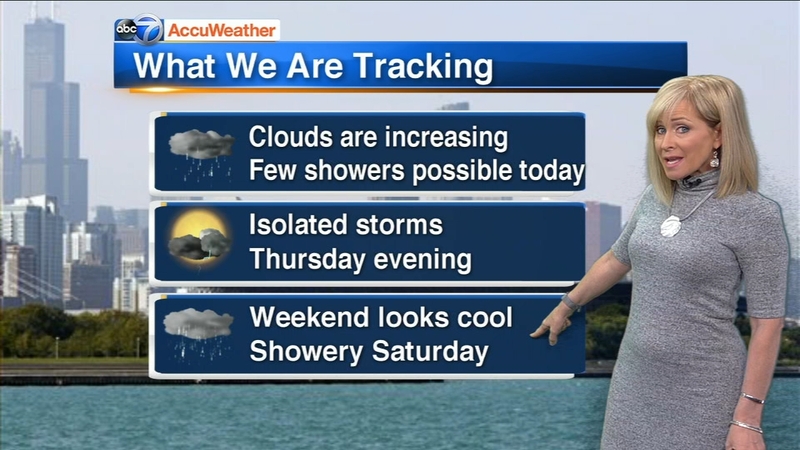 Mostly cloudy with a few showers Wednesday. Highs around 60.